Mrs Peel enters Hammond's study where Steed is examining Hammond's buckled shotgun - "whichever way you aim it you hit the chandelier!" - and Mrs Peel recaps the case file. Hammond wasn't the first - Walter Carson, chairman of Convercial Imports, and Andrew Denham, head of Automatic Industries had suffered a similar fate. Hammond was on the board of Electrical Industries but they find no leads in his diary except an entry for Harachi which Hammond will never keep. Steed wonders if there'll be a fourth death. Sure enough, a man marches into Industrial Deployments and knocks the security guard flying when he tries to stop him. Bob Lambert (Ronald Leigh-Hunt) is discussing a deal with Jim when he's alerted of the intruder; he dismisses it, then seconds later his secretary screams as the figure bursts in. He fires several shots at his assailant but is, like the others, struck down. His killer stops to pick up his pen, then crushes it in his fist. 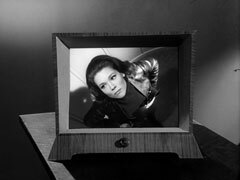 Mrs Peel lifts her stiletto heel daintily over the wreckage of the door and enters Lambert's office. She gives Steed a run-down of the witness statements - tall man in dark coat, hat, gloves and glasses - and Steed observes the attacker was also bullet-proof, holding up a flattened slug. They discover Lambert had also made an appointment with Harachi - recently in the news for developing a replacement for the transistor, which could revolutionise the electronics industry. Mrs Peel suggests Lambert may have died from an expertly-applied karate blow and visits a karate dojo to spy on the men training there. She is spotted by Oyuka (Katherine Schofield) and led in to meet the Sensei (John Hollis) whom she tells she's interested in Karate. He sneers and says interest is for onlookers, he requires dedication - nightly attendance - Karate is not a sport like Judo, it is a science, an art, a discipline. He tells her one of his students whom they call Oyama - the tall mountain - can splinter a door with a single stroke, it is difficult for a woman to perform these acts. He dismisses her but she questions why Oyuka - the immovable one - is allowed to stay. 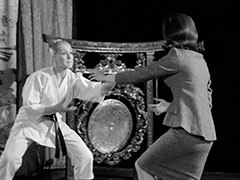 Sensei tells her there are few men who would be able to get past Oyuka; if Mrs Peel can defeat her, she is most welcome. Naturally, she does so with ease and bows to Sensei before leaving. 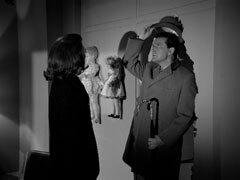 Steed visits Mrs Peel and asks about the karate dojo - she tells him everyone has Japanese pseudonyms, then wistfully contemplates meeting Oyama, the tall mountain. "What's he got that I haven't got?" asks Steed and she swiftly replies, "A hobby". "Archaeology, philately, knitting?" wonders Steed. He's surprised when she replies, "Splitting doors". He shows her that Tusamo's appointment list is nearly identical to the killings, leaving just United Automation and Jephcott Products. Mrs Peel visits Jephcott Products, claiming to be from Winnell and Fentle Department Stores and meets Jephcott (Bernard Horsfall), a disarmingly friendly toy maker who aims to expand into other realms of electronics. He hands her a brochure and hurries off to a pressing engagement. 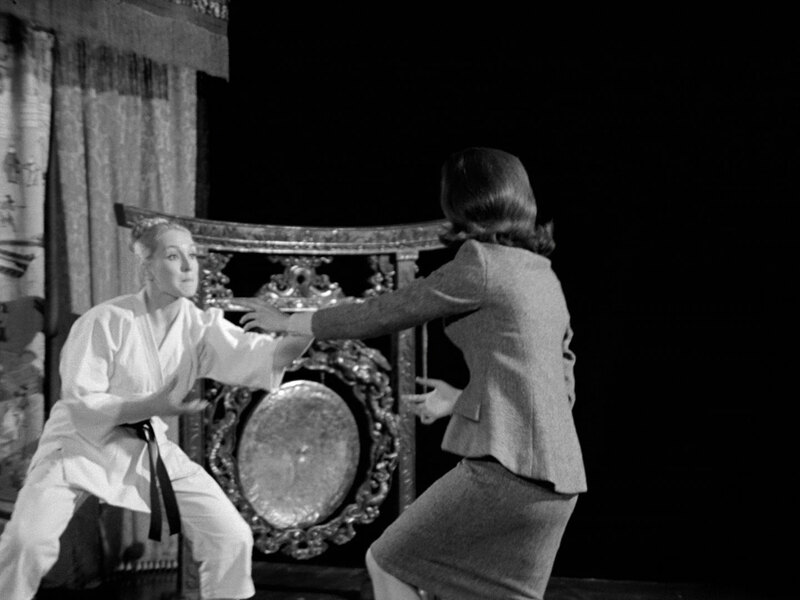 Later, Mrs Peel is in the ranks at the dojo when Oyama arrives to perform a demonstration. He chops a wooden block in half and when he bows to the audience Mrs Peel sees that he is Jephcott. Steed has a visit from Gilbert (John Franklyn-Robbins), a ministry boffin who fills him in on United Automation and it's head, Dr Armstrong, who had left the Ministry under a cloud after an experiment on an unauthorised project left him in a wheelchair. Gilbert promises to pull some strings - and unties the arm of Steed's sofa, which falls off. Benson returns to his office and calls his boss on the videophone; he tells him there are two other bidders but, despite the secretary's complicity, he does not yet know who they are. 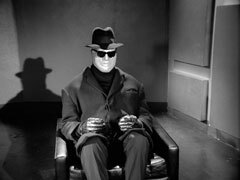 Steed returns home to change into 'something more literary' - he's obtained an appointment at United Automation as a journalist, writing a feature on the future of automation. He shows Mrs Peel the punch card he's required to use for entry before leaving. At United Automation he meets Dr Armstrong, a hard, clinical man, who tells him it's the age of the push-button and demonstrates those on the arms of their chairs. He has few staff - human being are "fallible, temperamental, and so often unreliable". Armstrong claims the machine can supplant the human brain entirely if correctly programmed. Benson calls Armstrong's videophone - he's discovered the other appointment was a man from Industrial Deployments called Steed - Armstrong moves his chair so Benson can see Steed on his monitor and Benson confirms he's the man. Armstrong says he'll deal with him and offers Steed a solid ink pen powered by the heat of the hand that will never leak. Steed leaves and Benson enters, wondering why he was allowed to leave. Armstrong silences him and says they have someone else to deal with first, and calls Roger. Jephcott finishes an order and puts his pen in his pocket and prepares to leave, then hears a crashing noise... outside, the Avengers tire of waiting for him to emerge and enter. They find his body in the office and a large, man-shaped hole in the wall. They wonder who could have done such a thing when a toy robot whirrs into life, reminding them of Armstrong's faith in the machine. Steed cuts a set of punch cards for the United Automation office, leaving Emma the original, and writes down Tusamo's number. She notices the pen and he hands it to her, saying it was a gift from Armstrong. Steed re-enters Armstrong office and finds a metal man in a chair, then hides in the air conditioning duct when Armstrong and Benson arrive. Armstrong tells Benson only he can stop the figure - Roger - once it's programmed, and one day it will have a brain of its own. The robot is Directed by a radio transmitter concealed in the pen, and he feeds in Steed's frequency - Mrs Peel is using the pen as she speaks to Tusamo while Steed nervously feels in his pockets for the pen. Roger stalks off in search of his quarry and Armstrong grimly observes, "The concession is ours". Steed crawls through the ducts, Dr No style (sound familiar? 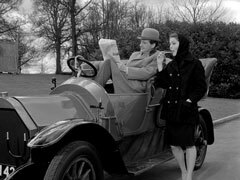 ), as the blips on Armstrong's radar converge, while Mrs Peel does a crossword with the pen... she casts aside the crossword, worried about Steed and slips the pen into her jacket pocket. Steed finally finds a trap door in the duct and emerges in the boiler room. The door is locked so he raise the thermostat - causing Armstrong to ring maintenance to check the boiler. A robot enters and restores the setting of the valve and Steed slips out the door, but it reports back to Armstrong, via punch card, that the thermostat was altered manually. Steed finds a telephone just as the blips converge but there's no answer, and Roger smashes in Mrs Peel's french windows. He drops the 'phone when the cybernaut sent to find the intruder enters but when he tries to slip out behind it, it knocks him out with a blow. Mrs Peel meanwhile is driving through the night, unaware of her timely escape, while Steed comes to. Armstrong tells him he's lucky, the cybernaut was programmed to capture him. He envisions a small complex computer built with the new components which can produce government by automation - once delivery is received from Harachi an army of cybernauts is only a matter of time. 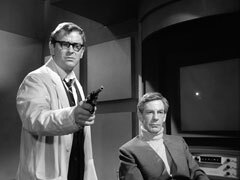 Benson suddenly notices the blips are moving again, which Armstrong considers an opportunity to demonstrate his radio-controlled cybernaut. They see Mrs Peel in the lift on the monitor. "What a charming young woman", drawls Armstrong, "what a pity she won't be joining us" - and he presses a button. He declares his automated assassin a stroke of genius, "loyal, obedient and extremely efficient". 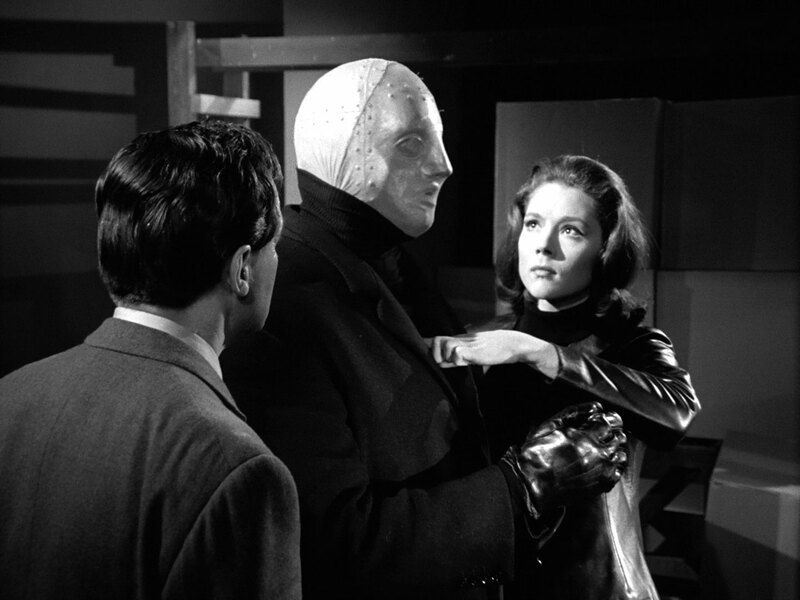 Mrs Peel's lift delivers her to a warehouse, where she finds cybernaut parts stacked on the shelves. Benson waves his revolver warningly at Steed, who declares his distaste for a cybernetic police state. Steed slams his hand down on every button in his armchair and dives under the table as Benson blindly shoots into the darkness. Steed disarms him then rushes out the door, Armstrong shouting after him, "There's no escape, Steed". Roger arrives at the warehouse and begins smashing his way through the crates and boxes; Steed arrives just as Mrs Peel starts shooting at the impervious Roger. He shouts, "throw the pen away", and she throws it to him; he turns to dispose of it but Armstrong has arrived with the advanced model, that does not need the pen. 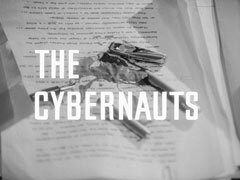 Steed slips the pen inside the new cybernaut's overalls and the two cybernauts start battering each other. Armstrong is dismayed and orders them to stop but is killed by Roger when he gets too close. Roger then finishes the demolition job on the other robot, stopping only after crushing the pen. The Avengers converge cautiously on the cybernaut and then Mrs Peel knocks it over with a single finger. Mrs Peel drives up to Steed, who's doing a crossword in his veteran car. He's puzzling over a clue - "It moves in the dark, it leaves no mark, it's as hard as steel". She suggests "cybernaut" and offers him one of Armstrong's pens when he breaks his pencil. He looks at it and declares that he "doesn't hold with those new-fangled things" then doffs his bowler at her as she drives away.